851 pages | 150 B/W Illus. Wetting Theory discusses the numerous practical applications of wetting, such as preparing self-cleaning surfaces, manufacturing artificial blood vessels, and developing new lubricants and nonadhesive dishes. 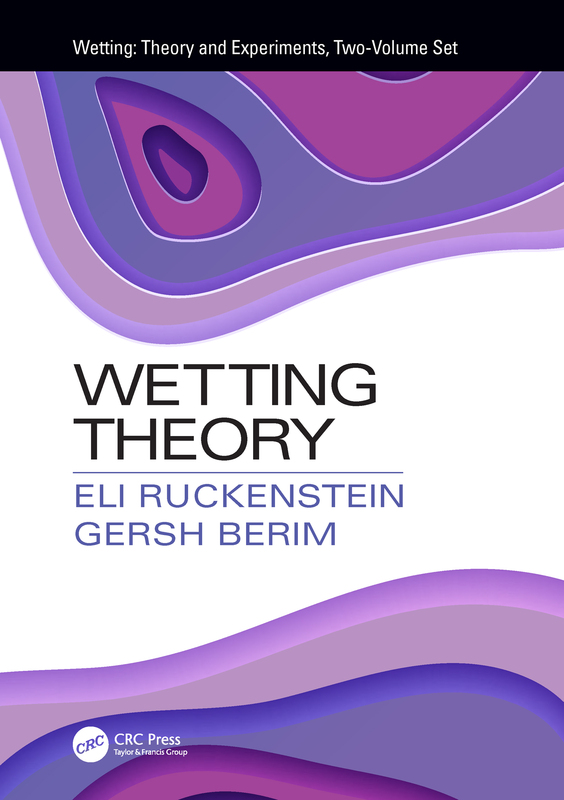 As part of Wetting: Theory and Experiments, Two-Volume Set, thisvolume provides new, critical insights into the theory of wetting. Chapters are arranged to allow readers to follow the development of a suggested approach (static and dynamic properties of wetting) and how these tools are applied to specific problems. Main attention is given to nanoscale wetting (nanodrops on solid surfaces, liquid in the nanoslit) on the basis of microscopic density functional theory and fluid dynamics on solid surfaces on the basis of hydrodynamic equations. Aimed at engineers, physical scientists, and materials scientists, this volume addresses the key areas of wetting, providing invaluable insights to the field. Eli Ruckenstein is a State University of New York (SUNY) Distinguished Professor at the SUNY at Buffalo. He has published more than 1000 papers in numerous areas of engineering science and has received a large number of awards from the American Chemical Society and the American Institute of Chemical Engineers. Dr. Ruckenstein has also received the Founders Gold Medal Award from the National Academy of Engineering and the National Medal of Science from President Clinton. He is a member of the National Academy of Engineering and of the American Academy of Art and Sciences. Gersh Berim earned his PhD in Theoretical and Mathematical Physics from Kazan State University in Russia in 1978. He has authored or coauthored 70+ papers. His research interests include statics, kinetics, and dynamics of low-dimensional spin systems, kinetic theory of nucleation, and wetting at the nanoscale. Since 2001, he has been working in the group of Dr. Ruckenstein at SUNY at Buffalo. Previously, he was a visiting research scholar at the Institute of Physics "Gleb Wataghin" of the University of Campinas, Brazil (1995–1996), and at the Institute of Theoretical Physics I of the University of Erlangen, Germany (1998–2000).